A favourite amongst interior designers, the Caron Bar Chair by Ottiu is inspired by the ‘Lover’s Capital’, Paris. 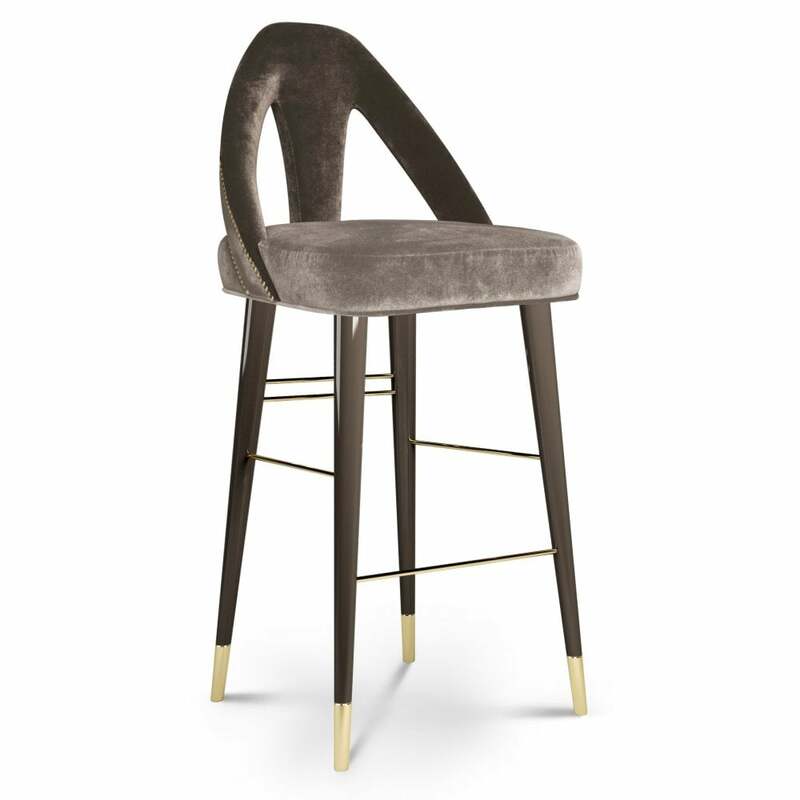 Part of the Century Collection, this bar chair features beechwood legs lacquered with a high gloss varnish and brass feet. With a mid-century modern shape and romantic design, the Caron Bar chair will bring a luxurious touch to a breakfast bar or kitchen island. Shown here in a dark grey velvet upholstery, the Caron chair is designed with a contrasting lighter fabric on the back rest for added texture. Available in a selection of fabrics and shades, get in touch with our team for more information. Priced for Upholstery: Ottiu Fabric. Structure: Beechwood, lacquered legs with high gloss varnish. Details: Polished brass accents, and feet.